Japanese media has declared the intention of the current Emperor of Japan Akihito to pass the throne to his eldest son, Naruhito. Later, the deputy governor of the Imperial Household Agency Sinitiro Yamamoto said that the information is untrue. However, there is every reason to suspect that such rumors have more than good reason. Japanese Emperor (Tenno) is believed to be the descendant of the sun goddess Amaterasu. The deification of the emperor is something peculiar to Japanese traditional monarchical consciousness until this day. Despite the liberal reforms undertaken after the American occupation of the country, the figure of the emperor means for the Japanese much more than constitutional monarchs in European countries for their population. In Japan the calendar system still operates in which the reign of each new emperor is considered to be a new era. 2016 in such a system will be the 28th year of the Heisei era, 28th year of the reign of Emperor Akihito. Accordingly, the announcement of the new emperor should mark a new era in the history of Japan, a new historical cycle. It is not only about a certain formality. For the Japanese, a new emperor really is a new era, the beginning of new history. Accordingly, this event may itself stimulate the implementation of life in the changes that were prepared during the preceding period. Rumors about the new emperor coincided with the most important political event - the victory of the ruling coalition led by the Liberal Democratic Party of Japan's Prime Minister Shinzo Abe at the elections to the upper house of Japan's parliament - the House of Councilors. In essence, this means Abe getting full control over Parliament. For the first time he has the opportunity to change the country's constitution. For the amendment of the constitution there must be a positive decision from both houses of Parliament, which would be supported by two thirds of deputies of the upper and lower chambers. Then the question should be put to a national referendum. The year before, the Prime Minister held a package of bills through parliament, essentially coming into conflict with Article 9 which prohibits the country of the Constitution of Japan in 1947 to have a full-fledged armed forces and to participate in military operations abroad. 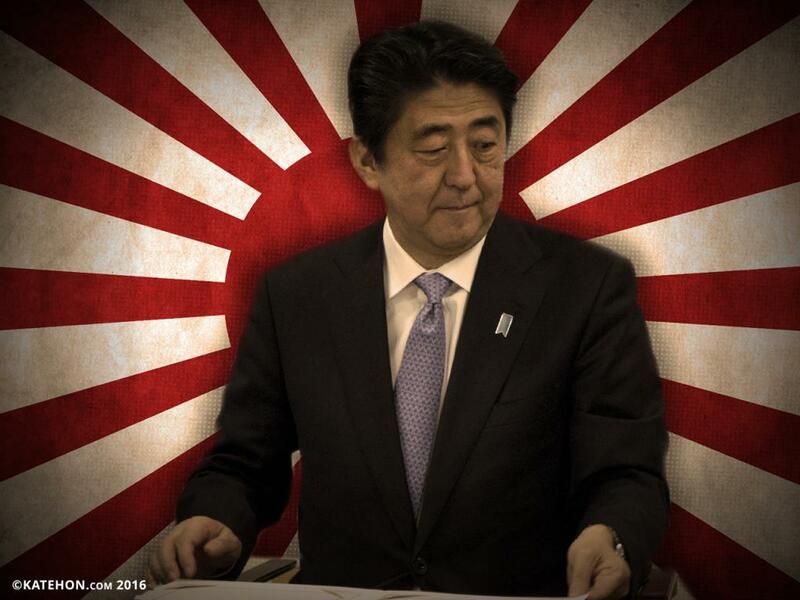 Now Abe’s government is talking about a possible change in the Constitution itself, written by US occupiers. In this case not only Article 9 is to be amended. The talks are about to withdraw from the main law of the country a number of provisions regarding the rule of the principle of human rights. It is significant that, for example, it is proposed to remove the concept of the individual from the Constitution, which was unknown for pre-war Japan. It is proposed to replace the term "kojin" (individuals) with "hito" (people). In addition, supporters of constitutional changes in the ranks of the Liberal Democratic Party of Prime Minister Abe are offering to increase the status of the emperor – instead of "state symbol" it would be "Head of State" - and to remove the monarch from the fundamental law of the country's position on the responsibilities of compliance with the constitution. In essence, this means Japan’s revolutionary turn towards a more conservative, holistic, real-monarchist, militarist traditional identity and the actual failure of the liberal ideology of individualism and human rights. Everything is done in order to strengthen the offensive forces of self-defense. In fact, it does not self-defense forces, they are the real forces, a powerful army, which is numerically larger than when it entered World War II. This is a very serious force equipped with modern weapons. And in the Army, and in aviation, and in the fleet are the most modern equipment. The fact that in spite of the furious resistance of the establishment - pacifists, liberals, and people who are not healed from the trauma of defeat in World War II - Abe was able to successfully implement a sovereigntist course that reflects both the support of the people, and the existence of strong public institutions that support a return to pre-war identity. One of the most famous structures of this kind is the organization Nippon Kaigi. Translated from the original language the name means "the Japanese conference." This is a conservative religious-political organization, which includes a significant portion of the political elite of modern Japan and influential Shinto priests. Among its members include both the prime minister, Shinzo Abe, former Prime Minister Junichiro Koizumi, and almost all the members of his government, and most of the deputies of the Japanese parliament. Nippon Kaigi’s agenda totally coincides with most of recent steps of Japanese government concerning the Constitution and the raised profile of the armed forces. The organization was founded in 1997 and has set as its main goal the restoration of Japan's sovereignty, cancellation or a significant change of the 9th article of the Constitution, the restoration of monarchial rights and privileges, and the rejection of Western values ​​of consumption and individualism. Nippon Kaigi advocates the return of pre-war imperial glory and the transformation of Japan into a strong Pacific military power. Naturally, the US military presence in Japan is not included in the plans of this influential structure. We are well aware that, unfortunately, Japan is not the only country that is not entirely independent in its foreign policy actions. It would be desirable that such a big power, like Japan, have regained a greater self-reliance. European conservative circles are also interested in a strengthened Japan. In particular, this applies to Germany, for which the processes taking place on the other side of the world can act as an incentive to enhance its own autonomy and liberate it from US military occupation. In general, trends in both the West and East Eurasia contribute to the revival of the ideas in the spirit of the Berlin-Moscow-Tokyo axis concept of German geopolitics Karl Haushofer. At the same time, the rise of Japan is not beneficial to China and the United States. For China, Japan will be the most important independent rival in the Pacific Ocean and a competitor in the struggle for a special relationship with Russia. In addition, the Chinese remember the wounds of World War II. The United States, in turn, does not want to lose a profitable ally and its bases, and is trying in every way to delay the restoration of Japanese sovereignty, simultaneously channeling the growing Japanese power and the desire for independence in the struggle with China. While the Japanese government is ready to play this game, trying to use peripheral realism in the strategy laid down by the loosening of the American hegemonic structure. So laws that significantly increased the powers of the self-defense forces in the last year have been taken as a consequence of the new agreement between Japan and the United States, under the pretext of helping the "American allies." However, Japan has tried to make a friendly step toward Russia in the diplomatic field. Is the BBC anti-Japan and marginalizing this nation?